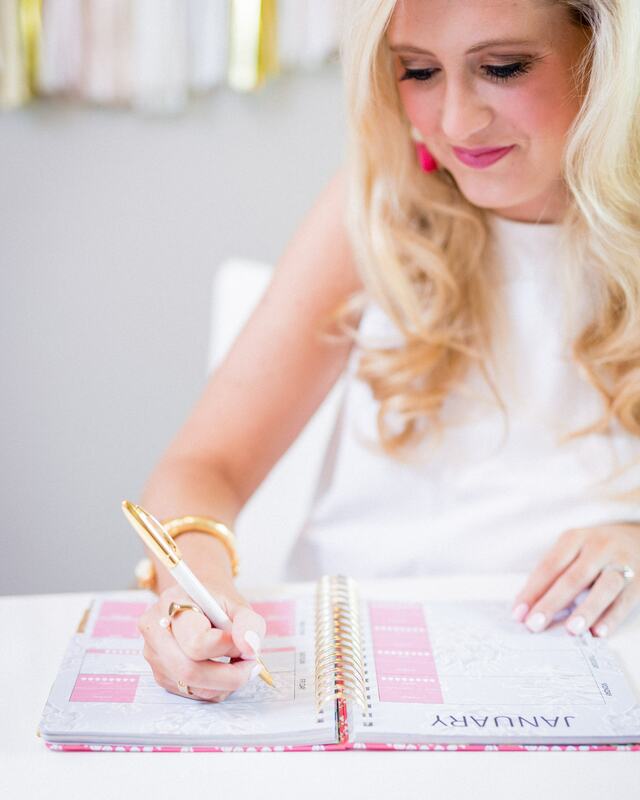 I’ve partnered with Lauren James today to showcase their new Timeliness Planner! 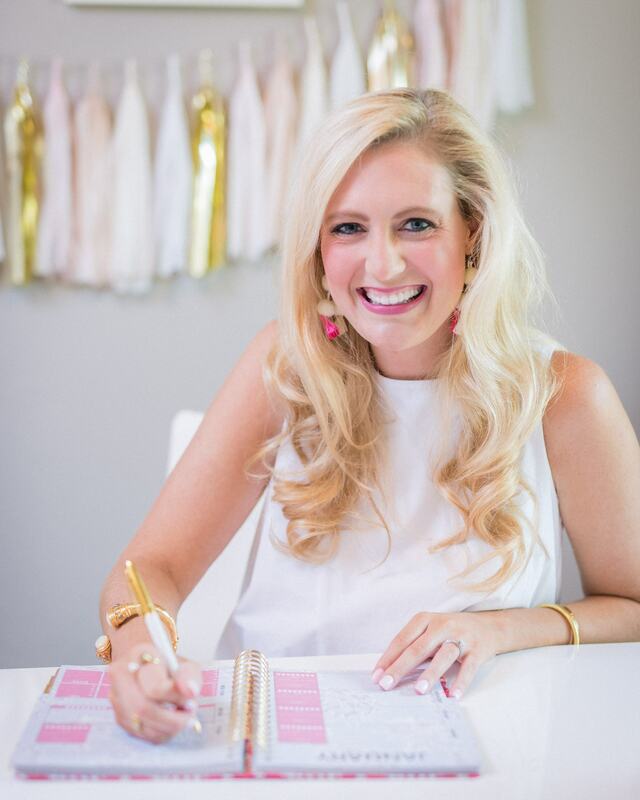 As you know, Lauren James is a preppy women’s southern lifestyle brand devoted to comfortable, elegant classics. I’m obsessed with all of their preppy designs and patterns! 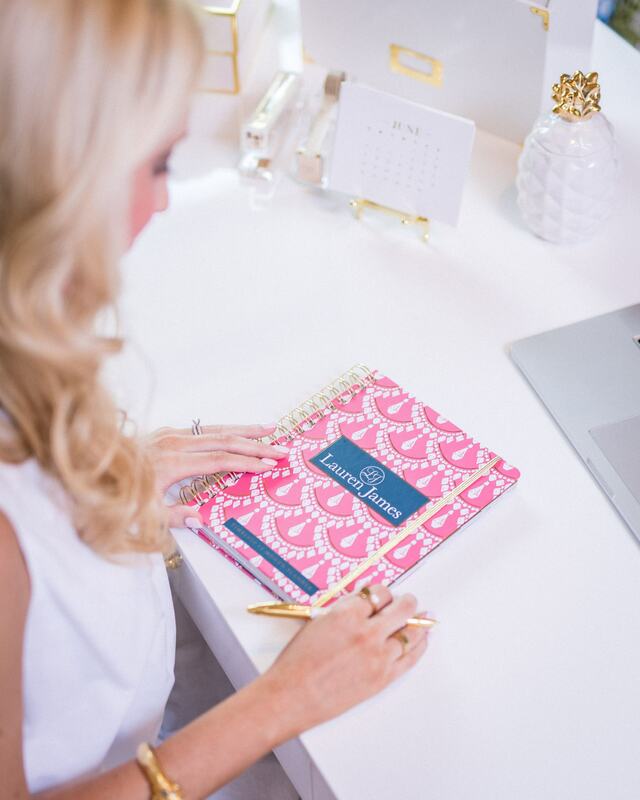 I don’t know about you, but I cannot survive without my planner! 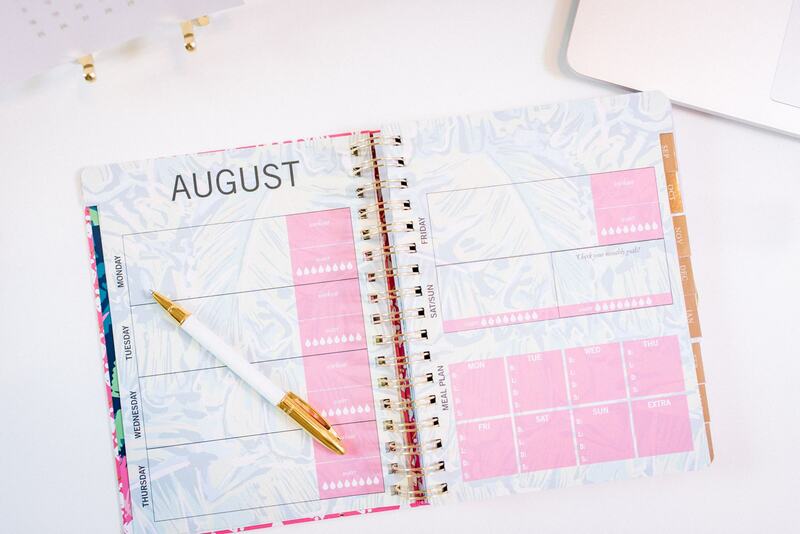 Ever since I was in high school, I have looked forward to finding a great planner each year, decorating it with stickers, and marking down all of the important dates in my life (with colorful pens of course)! It gives my Type A personality such joy! 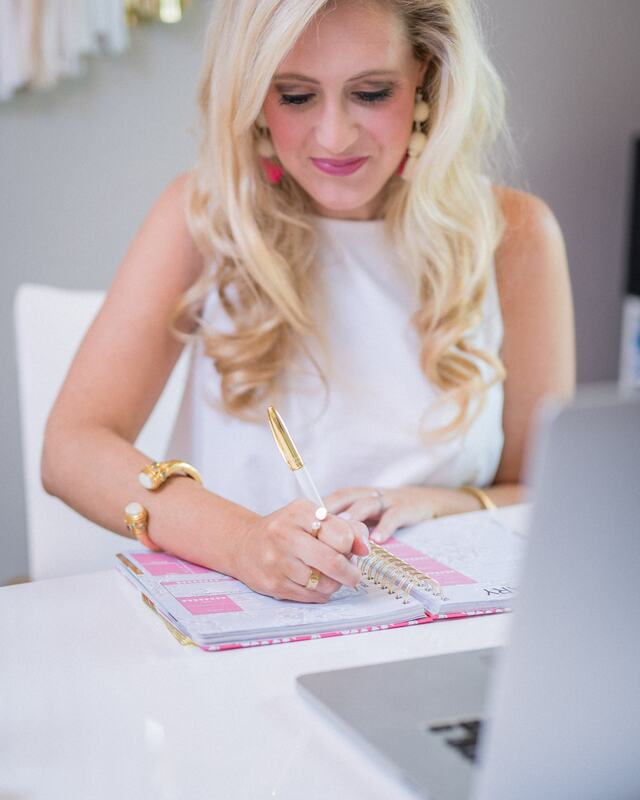 I have to make "To Do" lists every day, or I will never remember everything I need to accomplish. 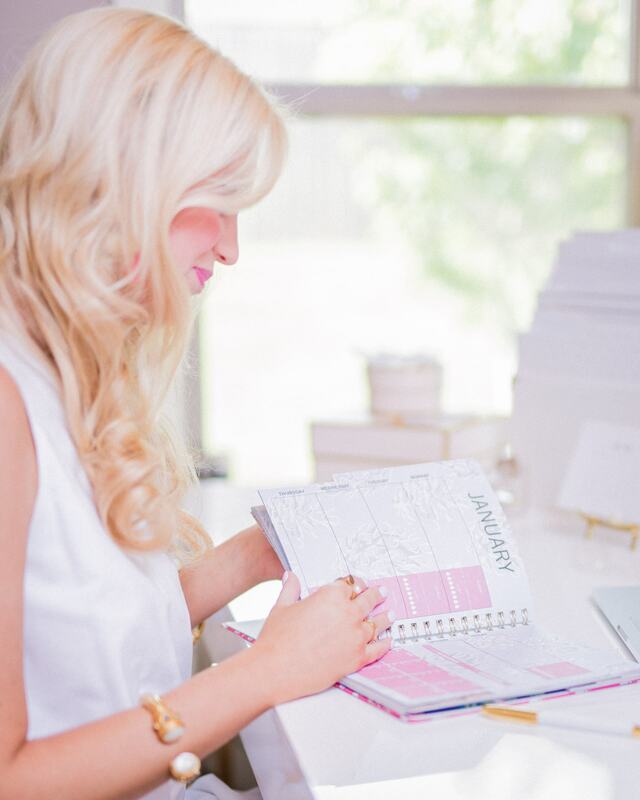 I always use my planner to keep track of appointments, special occasions, and billable hours for work (life of a CPA)! 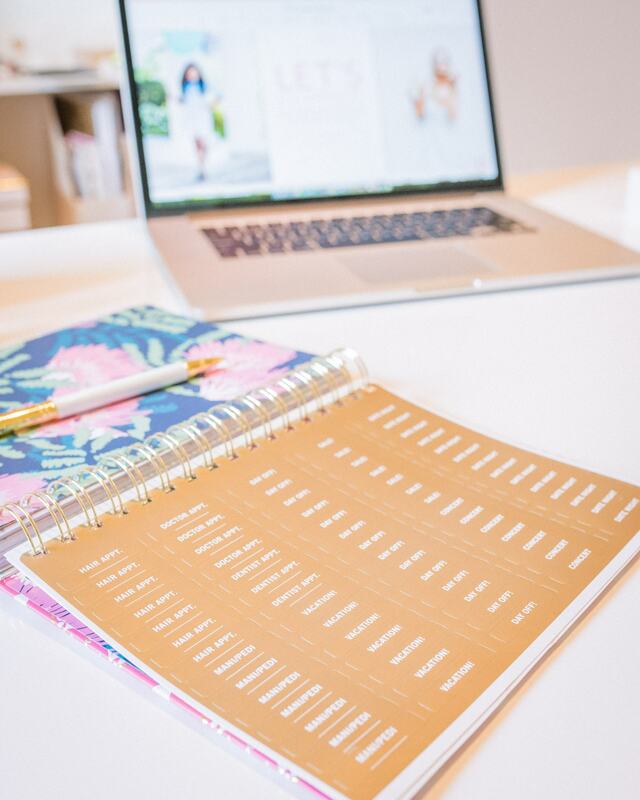 A couple of the features of this planner that have been so helpful are the water intake tracker and weekly meal planner! This is the first time I’ve ever had these items in a planner, and now I think they are a must! I love that I can mark off my water drops each day! 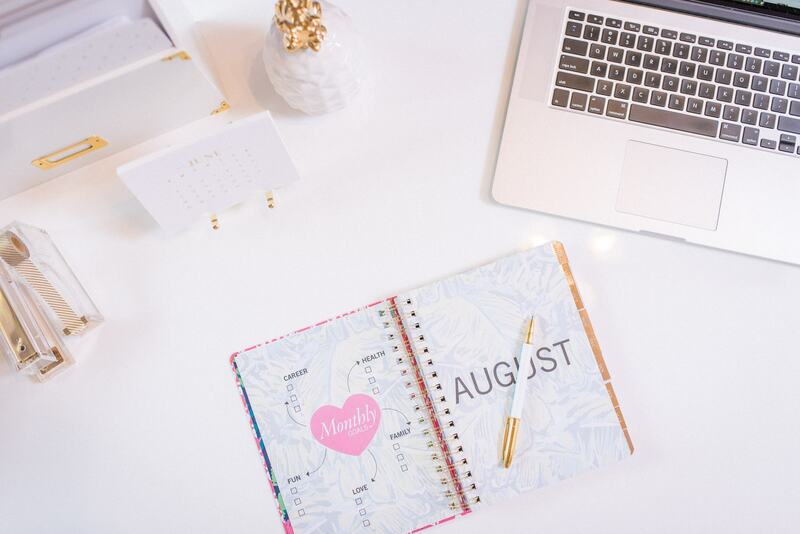 I also love the "Monthly Goals" section they have included in the planner. 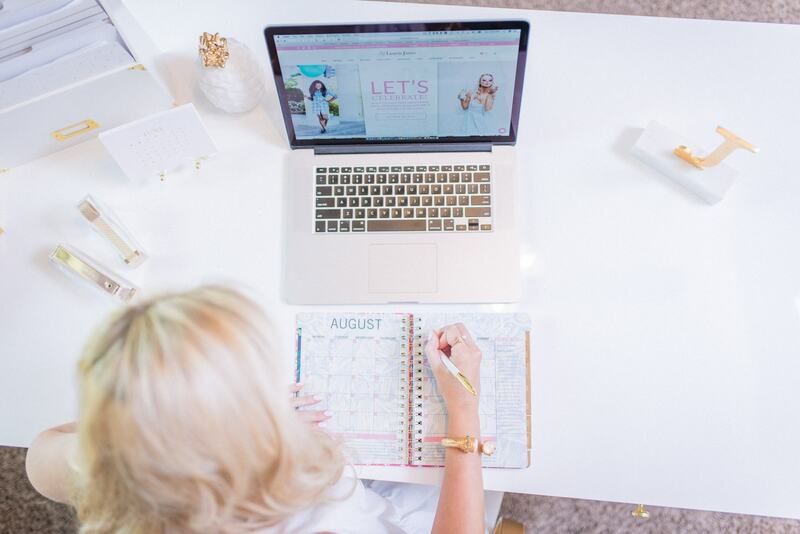 There are three goals each month for Career, Health, Family, Love, and Fun! It definitely helps keep you focused on what’s important! 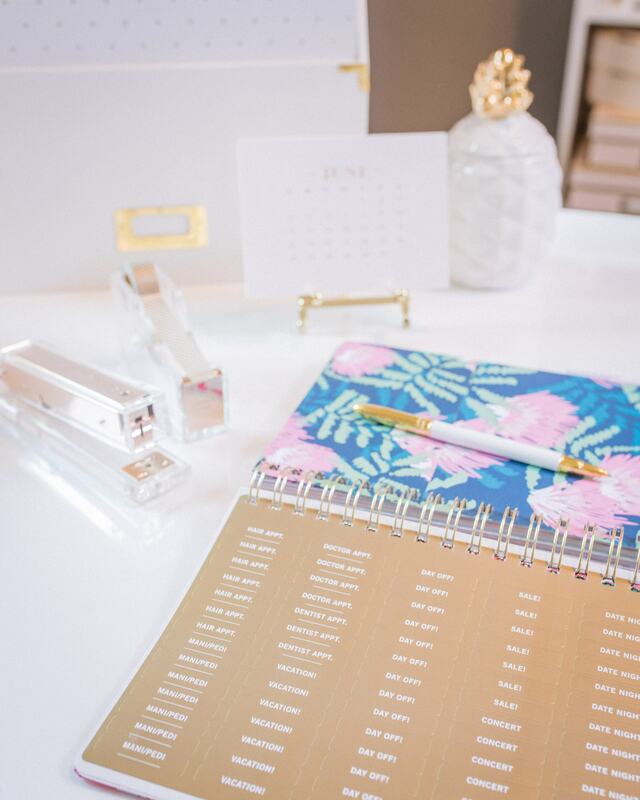 The Lauren James Timeliness Planner is $28 and comes in 3 prints (blueberry, pink chandelier – as shown in photos above, and gold tulip). 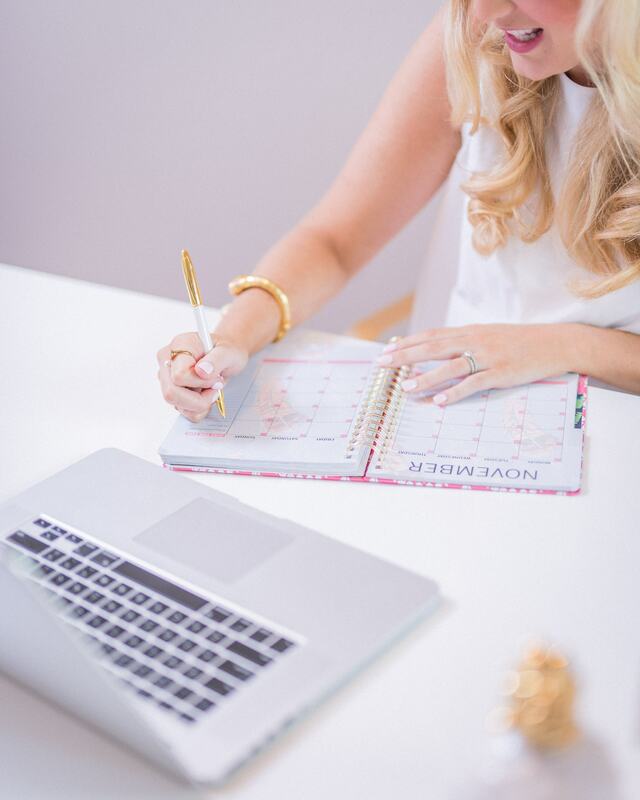 There are so many great features with the Timeliness Planner that I want to share! 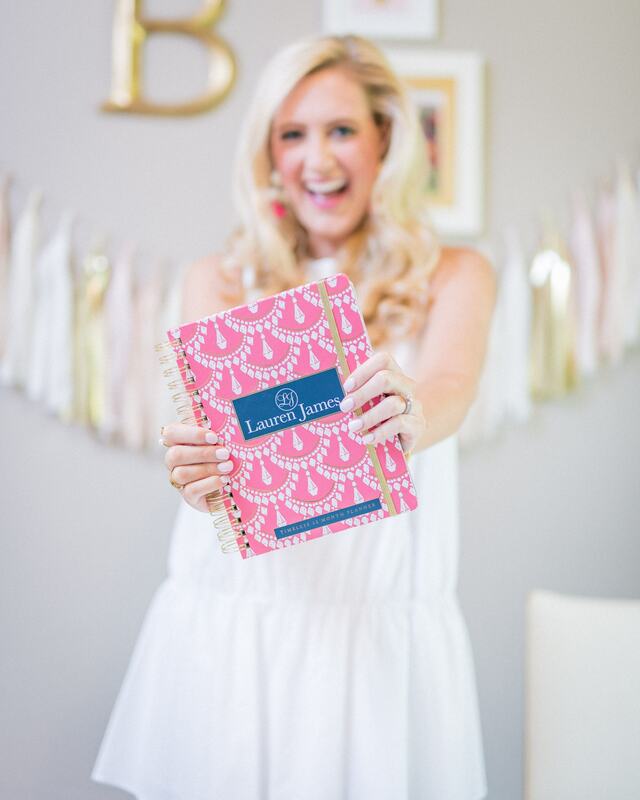 This post has been compensated by Lauren James. All opinions are mine alone.